Donna Warble Steffe is the daughter of diehard Ravens fan Bill Warble of Dundalk, Md., whose close relationship with Ray Lewis was portrayed in "A Football Life: Ray Lewis." It's hard to put into words because of what happened. So when my dad, Bill Warble, was in his 60s, he went to the doctors, and they told him he was terminally ill with cancer; there wasn't anything they could do for him. I was very, very close to my dad. I just asked my dad, "What do you want to do? Let's just do some things." We didn't have a time-frame on how long he had; we didn't want one, we were just going to take it as it came. So he gave me his wishes -- he only wanted three things -- but one of those things was he wanted to pray with Ray Lewis. He told me that's what he wanted, and I have a friend who works for Macy's in the executive department, and I know that I've helped her at some functions in the past where some Ravens players had shown up. So I just wrote a letter, and I gave it to her. I'm like, "Look if you could just get this in somebody's hands, ask him to either call my dad or send my dad a card and just write a little prayer in there, that would be awesome." So, it was probably a week later a woman named Deb Poquette reached out to me and said Ray wanted to come to my dad's house to meet with him. So, he came, with Deb, and the whole relationship just went from there. When I found out my dad was sick, I couldn't sleep. I stayed in the hospital with him for seven days at one point, and I would have dreams about him passing away. It just affected me in a very negative way. I couldn't deal with it. He was still alive, and I couldn't deal with it. So, when Ray first came to my dad's house, he came up into my dad's bedroom. It was just myself, Ray and my dad. My father said to Ray, "I didn't ask you to come here to pray for me. I asked you to come here to pray for my family. I'm very worried about my daughter." My dad, Ray and I all held hands, and we said a prayer in my dad's bedroom. I can't remember what Ray said, he was just praying, very powerful, but whatever he did that day, it changed my whole inner-being when it came to dealing with this situation. All my worry went away. My fear went away. I could sleep at night. I didn't need to get medication from my doctor to deal with it; it was so powerful. After that initial visit, my dad and Ray exchanged phone numbers and visited each other several times. Ray took my dad out to the game; he took him to practices at the facility. So they just had a very meaningful relationship -- a lot of conversations I wasn't privileged to. Ray made my dad's last 11 months the easiest, most -- I don't know -- it was just like a really crazy, fun and rewarding time. My father was so happy and like a legend in his own mind because he would go into the Ravens' facility, and the guys would come up to him -- everybody called him Papa Bill, and the guys loved him. It was just neat, the respect he got from those players just because if Ray respected him, everybody respected him. When I hear bad things about Ray, or I hear people disrespecting him -- because everybody has their opinion -- I have to walk away. 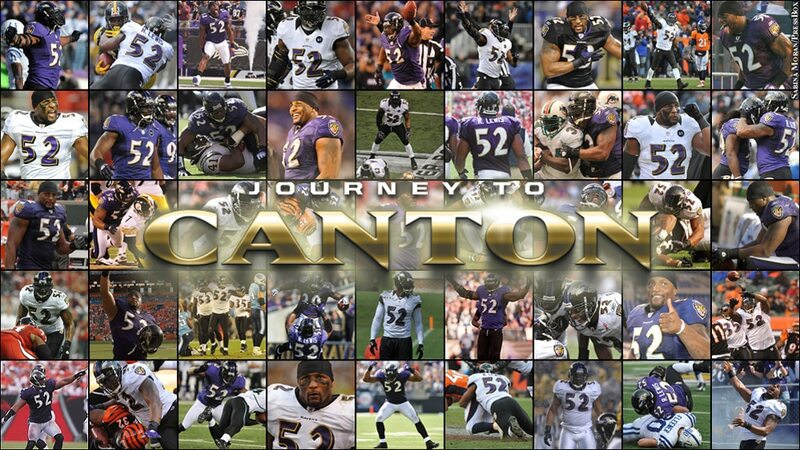 The Ravens mean more to me than just football. I can pick up the phone right now and call [vice president of public relations] Chad Steele, and say, "Hey Chad, I want to come to practice on Thursday," and he'll say, "OK, see you Thursday at 1 p.m."
My dad passed away the year before Super Bowl XLVII, and they took his ashes to New Orleans. Harbaugh had him in his pocket during the game, and then after the game he gave him to Ray. So dad made it to the Super Bowl, just in a different form. "Papa Bill, one of the greatest men I've ever met in my life, heaven is a better place right now. A father to so many, but he proved that there are angels on earth. Psalms 91 is truly about being safe in the Lord, his heart and mind was at complete peace. I will forever be blessed to be a part of this awesome family, carry out his true dream to love each other like there is no tomorrow. He will truly be missed, but God has never made a mistake. We will see him again, his work on earth was done, take a good look at the family. He is in every one of your hearts. He showed me what a true father's love feels like every day by simply saying, "I Love You Son." His legacy lives forever. ;-) I'm a better man, a better father because of Papa Bill."